You can learn to fly just about anything that flies here at Minute Man Air Field. Whether you are flying for the first time or you are looking for advanced training, there’s something here for you. In addition, the Aircraft Owners and Pilots Association (AOPA) offers extensive information on learning to fly. 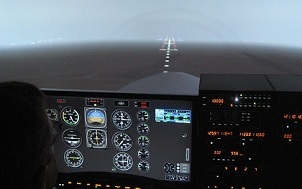 Magenta Flight Training offers professional simulator-based flight training. Our simulator features a 240 degree wrap around screen for a truly realistic flight experience. We can help you learn to fly, experience flight from the comfort of our classroom, provide instrument proficiency checks, help with transition training to complex, high performance, and turbine aircraft, and help with airline preparation. We share your passion for flight. 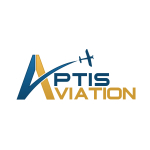 Aptis Aviation’s commitment to quality instruction has created a legacy of outstanding students—and there’s no better way to find out why than to take a Discovery Flight. You’ll quickly become a knowledgeable, competent pilot with Aptis’s structured interactive instructional program. Aptis has partnered with Magenta Flight Training to offer our students the best in state-of-the-art Flight Simulation.